St Andrew's Cathedral in Singapore was consecrated in 1881 as the bishop's seat in the fairly new Diocese of Singapore, Labuan, and Sarawak. 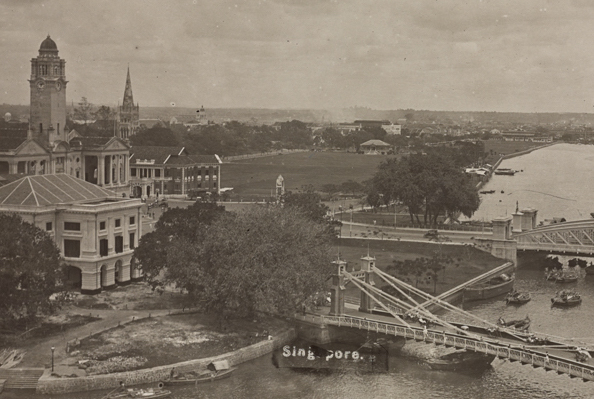 Anglicans had had a thriving and forward-thinking mission in the Kingdom of Sarawak since the 1840s, but no bishop of the Church of England could be consecrated for a see outside the realm of the Crown—the rajahs of Sarawak were the Brooke family—and so the minor offshore coaling station of Labuan was at first chosen as the major see city. The cathedral—where prayer still rises daily in English, Chinese, and Tamil—is a deliberate walk from the place where this week will meet two of the world's most powerful and erratic politicians. It is not for us to know what they may discuss or what its outcome could be, but hope is a theological virtue—and the cathedral is a built, permanent sign of that virtue. Hope is an infused gift, and it does not come from acts of our own will, the repetition of a good habit, or from any kind of merit of our own. It is just there forever when God has put it there forever. Hope that there will be real progress in a peaceful end to the Korean War, a dangerous conflict held in tense armistice for nearly 70 years. Hope that persons around the world in the grip of unbearable sadness will turn to their friends, family, and religious communities for help when they meet despair. Hope that churches everywhere will be places of better safeguarding for the young, the elderly, and those whose judgement is in any way diminished. Hope that there will be fresh reminders of one of the great touchstones of our faith: that the power of God's love is always stronger than war, stronger than death, stronger than wrong. It has been a season of distracting sorrow and anxiety for many of us, on many accounts, but we have the Psalmist and Emily Dickinson for reassurance. God is our hope and strength, a very present help in trouble. Therefore will we not fear, though the earth be moved, and though the hills be carried into the midst of the sea, though the waters thereof rage and swell, and though the mountains shake at the tempest of the same. The rivers of the flood thereof shall make glad the city of God, the holy place of the tabernacle of the Most Highest. Be of a good hope. See you again next week.